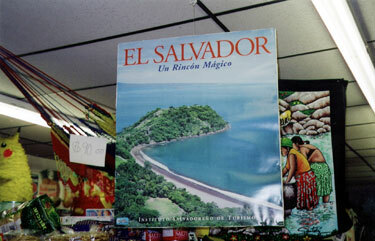 - Across the Harbor, a slice of El Salvador. Ana Benevides came to the United States when she was 18. 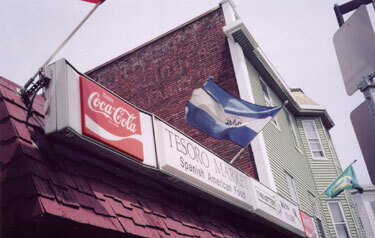 She and her husband, Jerry Pérez, have operated the Tesoro (treasure) Market at 188 Chelsea St. for four years now. The regulars know Benevides by name, and she chats with them in English just as easily as in Spanish. Benevides and her store have quickly become an institution in East Boston, home to a mix of Italians, Brazilians, Columbians and Salvadorans. Before Tesoro opened, customers had to walk to the Shaw's in Central Square a mile away. Tesoro specializes in Salvadoran products, which makes sense when you learn that Benevides grew up on a farm in El Salvador. What might surprise you, though, is that she had to "learn" about those Salvadoran products when the store opened in 1999. "I'm Hispanic, but I didn't have experience dealing with Hispanic people," says Benevides. "It took a little time." Pérez and Benevides operated a coffee shop at the Lechmere T stop in Cambridge for 20 years, selling mostly American fast food to a mostly American clientele. They opened their store in East Boston because they "wanted a change." At first they sold only American products, but the customers started asking her for Salvadoran coffee and rice. "It was a little hard, because I didn't know who the suppliers were," she says. "I have products in here I've never tasted in my life!" Now, alongside the Maxwell House and Quaker Oats, one can find Nescafé Listo and Rio Grande rice from El Salvador. "They know the brand name," Benevides says of her Salvadoran clientele. "It makes them feel like they're home." To the corner of Chelsea and Brooks Streets, Benevides has brought a diverse supply of groceries to a diverse population. To Benevides, the neighborhood has reintroduced the culinary culture of her homeland.